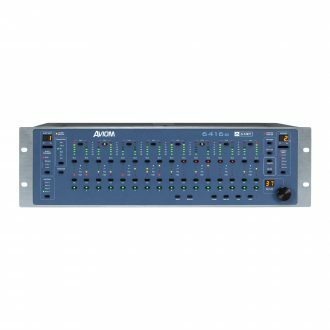 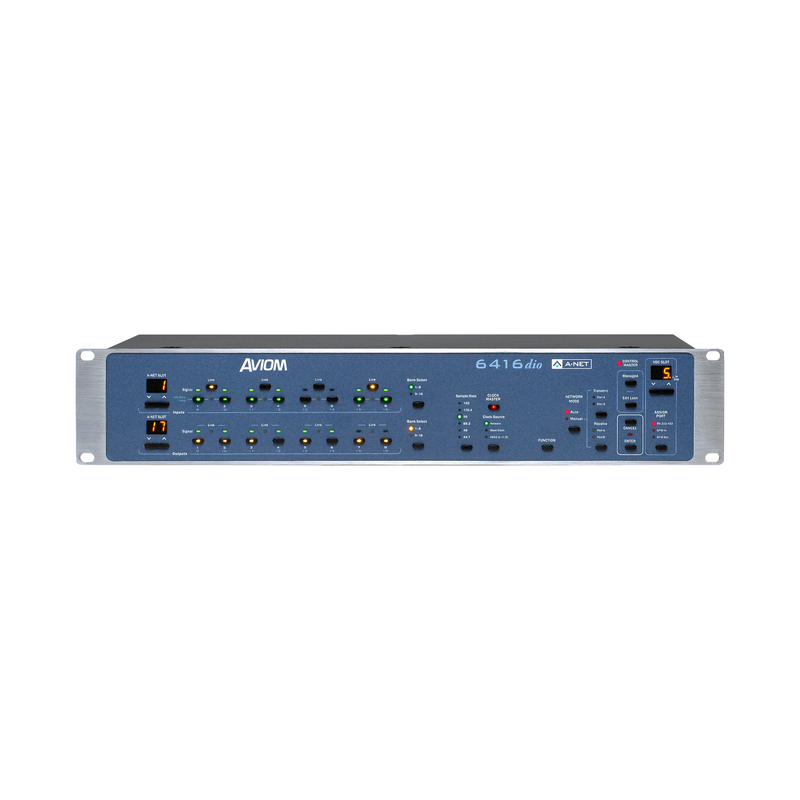 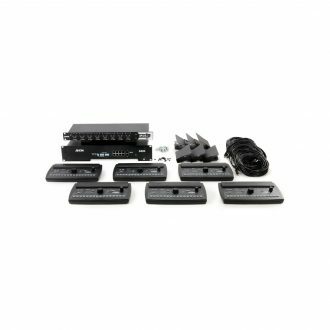 The Aviom 6416DIO-DB25 Digital I/O Module provides sixteen channels of digital inputs and sixteen channels of digital outputs to and from a Pro64 audio network in a single 2U package, using the AES3 digital format. 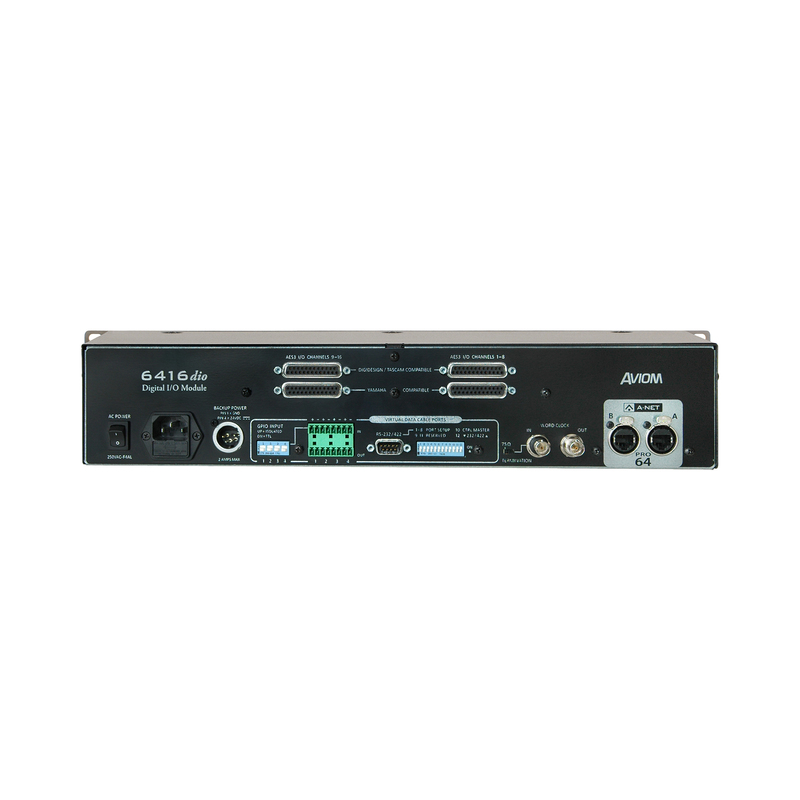 With its exceptional clock performance, the 6416dio meets the needs of digital console and recording workstation users in a wide range of applications. 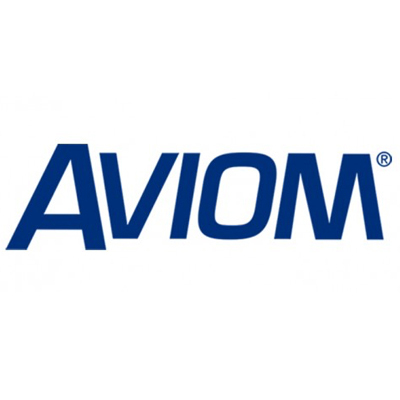 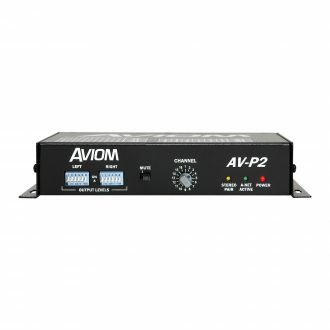 The Aviom 6416DIO-DB25 Digital I/O Module supports all valid Pro64 system sample rates, from 44.1/48kHz± to 192kHz±. Regardless of the sample rate of incoming audio, no sample rate converters are used, guaranteeing pristine, low latency distribution of the digital signal. 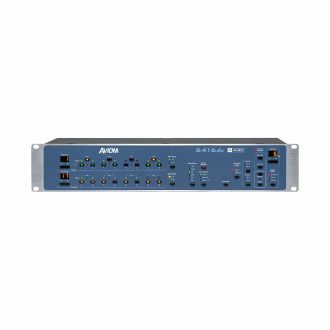 The 6416dio can clock to the module’s internal clock, the distributed network clock, an AES3 digital input, or an external Word Clock. 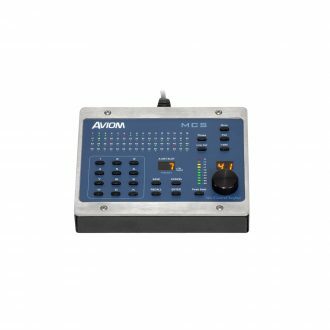 The selected clock is also output locally through Word Clock out as well as embedded in the AES3 outputs. 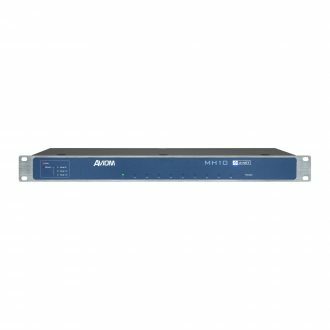 If the 6416dio is set as the Pro64 network Clock Master, the selected clock is also distributed throughout the Pro64 network over A-Net , using Aviom’s revolutionary clock dejitter algorithms. 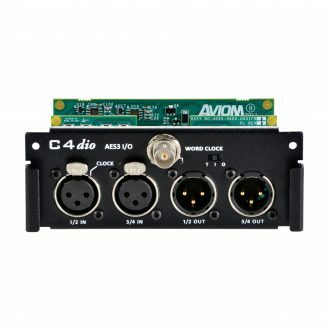 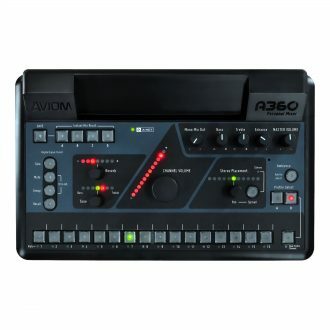 The Aviom 6416DIO-DB25 Digital I/O Module is available with either BNC or DB25 multipin connectors for audio I/O. DB25 connectors for both the Digidesign/Tascam and Yamaha compatible pinouts are provided.